Your kitchen is your home's central hub of activity. The Bellevue kitchen remodel experts at DP Palmer will infuse new life to your home by creating a custom kitchen that impresses with both form and function . As full service contractors with an experienced in-house staff, we can handle your Bellevue bathroom remodel project from its design to completion. Our talented in-house staff works with skilled craftsmen and recognized artisans to design and build some of the most beautiful and unique Bellevue kitchen remodels in the region. 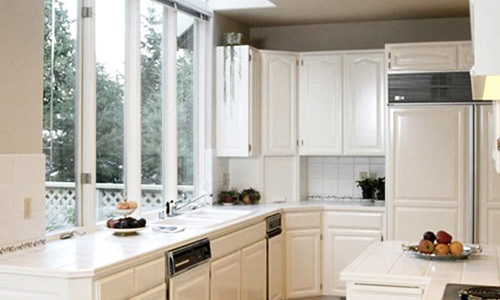 We will work with you to help bring your Bellevue kitchen remodel ideas to life by using our experience and expertise. 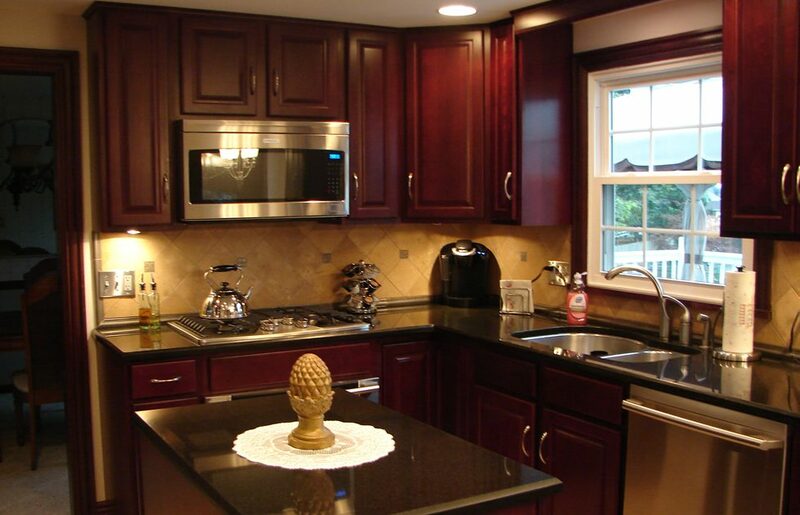 As a full service contractor, we can design and build your Bellevue kitchen remodel while addressing any other remodeling, construction, or painting needs in your home or office. 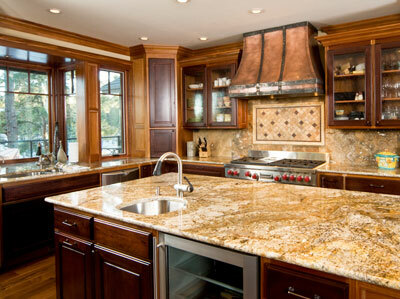 Contact DP Palmer today and let us help you get started on your Bellevue kitchen remodel project. The community of Bellevue, Washington is a metropolitan, modern city that has many skyscrapers. Although it wasn't until 1953 when it incorporated, it has experienced the majority of its rapid growth since then. The history of Bellevue goes back several decades, as a milling center, inland port, and a farming center. Two men named Aaron Mercer and William Meydenbauer were the first pioneers in the Bellevue region. In 1869, both of these men arrived. Mr. Meydenbauer, who was a baker from Seattle settled next to the sheltered bay which he is the namesake of. Mr. Mercer farmed next to what is presently known as Mercer Slough, located just south of Meydenbauer Bay. They both sold their claims after their land became profitable and relocated, leaving only their names. A man named Isaac Bechtel Sr. bought some property close to what is presently known as the downtown area in 1882. Mr. Bechtel and his sons cleared and logged the property for the next few years. Soon, other pioneers arrived and it wasn't long before there were farms in the region, in addition to shingle mills and a sawmill by 1890. The growing settlement also had a few businesses and a school. The first postmaster in the region was a man named Mathew Sharpe. Mr. Sharpe had relocated to the region with his brothers, who were natives of Bellevue, Indiana. Since the French translation of Bellevue means beautiful, he found the name to be ideal for his new home, which had beautiful vistas of the Cascade mountains in the east and Lake Washington in the west. The population of Bellevue was 400 people in 1900. In 1904, Bellevue was platted. The small settlement had become the center for growing berries in King County by this time. It was also a retreat for many wealthy families from Seattle. Since the 1890's, the Medina neighborhood next to the shores of the lake had been known as the Gold Coast, when landowners purchased farmland and converted it into sprawling estates. To the south, the Beaux Arts community was established in 1908 as a colony for artists. There were plans in the works for studios as well as instruction in such fields as photography, weaving, ironwork, and sculpting. Although some of the houses that were constructed during this time period are still standing today, the project never really got off the ground. The population had increased to almost 1,500 people by 1910. A part of this growth was the result of numerous men being employed to log timber from Wilburton for the Hewitt Lumber Company of Tacoma. A ferryboat was the only mode of transportation between Bellevue and Seattle. The opening of the Lake Washington Ship Canal in 1917, allowed access to Puget Sound. When a local resident named William Schupp, who was the head of the American Pacific Whaling Fleet, elected to relocate his corporate headquarters to Bellevue, new business was brought to Bellevue. During the off season, storing his whaling ships in Meydenbauer Bay was both beneficial and convenient. The fresh water lake helped kill off the worms and barnacles that damaged most saltwater boats. Farming was still the most productive industry in Bellevue. Although anti-alien legislation of the 1920's prohibited the majority of them from leasing land and they subsequently relocated elsewhere, many of the early farmers were Japanese. During WW II, when the local Japanese were forced into internment camps for the duration of the war, the few who remained lost much of their property. From 1900 through 1950, Bellevue continued its rural lifestyle. Their annual Strawberry Festival has always been a huge success, both for attracting new resident who desired to live in a country environment and commute to their jobs in Seattle, as well as selling produce. In 1939, the construction of the first bridge across Lake Washington was completed. This bridge was instrumental in changing Bellevue onto a thriving suburb from a farming community. This new bridge made Bellevue a more desirable location for people who were commuting by automobile because it was constructed on the shores just south of Bellevue. Following WW II, the number of people who were relocating to Bellevue increased significantly. Soon the country feel of the community disappeared. A developer named Kemper Freeman opened the first shopping mall in 1946. Only a few years earlier, the same location was home to strawberry farms. As a result, there was unprecedented business growth close by, which has continued unabated into the 1990's. The year 1953 brought the incorporation of Bellevue as a city. City planners didn't look at Bellevue as a sleepy little town, but rather as a flourishing city from the beginning. Unheard of at the time in adjoining communities, some streets were designed to have six lanes. Since the number of automobiles was rapidly increasing, businesses were required to provide ample parking. The role of Bellevue as the central hub in the eastern suburbs of Seattle was solidified in 1963, with the opening of the another cross-lake bridge known as the Evergreen Point Bridge. This bridge led to the northern neighborhoods in Bellevue whereas the first bridge was on the southern boundary of the community. The population of Bellevue exploded with such easy access to Seattle. It wasn't long before the central business district was filled with skyscrapers. Several banks relocated their corporate headquarters to Bellevue, which made it one of the richest cities in Washington State. Bellevue Square expanded significantly during the 1980's and continued its role as one of the premiere shopping centers in King County.